Commission me to create your own original hand-drawn pencil portrait, capturing the character and true likeness of your much loved pet, family members, children or anything else as a keepsake to treasure. Click below for details on pricing, samples of my pencil portraits and how to order. Limited edition giclee prints available of dog breeds, cats, birds, horses, domestic animals, wild animals, african animals and big cats. All prints are individually signed and numbered by the artist. All prints can be purchased securely direct from this site via credit/debit card or Paypal. For all the latest artwork news, up and coming pencil drawings, rough designs, general waffling and mad ramblings, visit my blog! 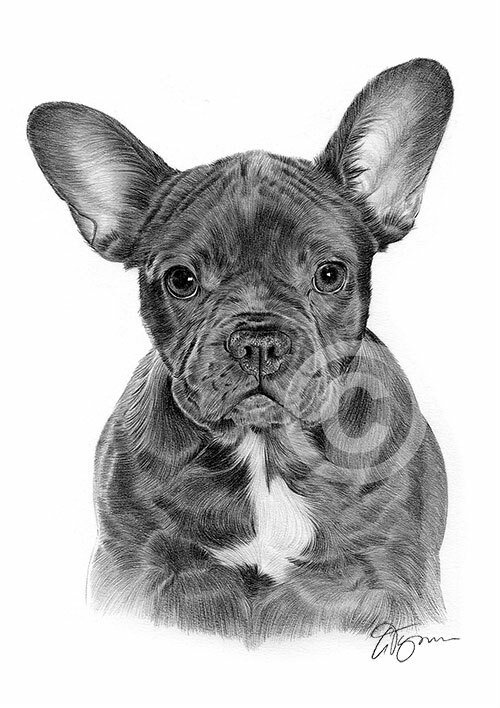 Pencil drawing of a French Bulldog added to the utility dogs gallery in the Prints For Sale section. Pencil drawing of a Maltese puppy added to the toy dogs gallery in the Prints For Sale section. 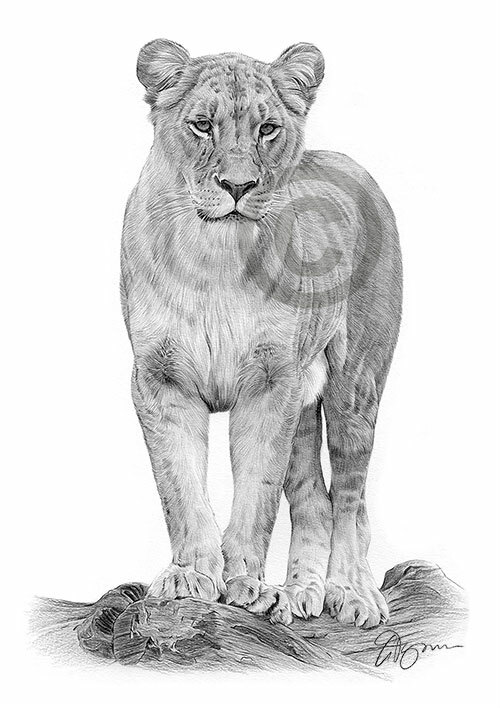 Pencil drawing of a Lioness added to the Big Cats gallery in the Prints For Sale section. 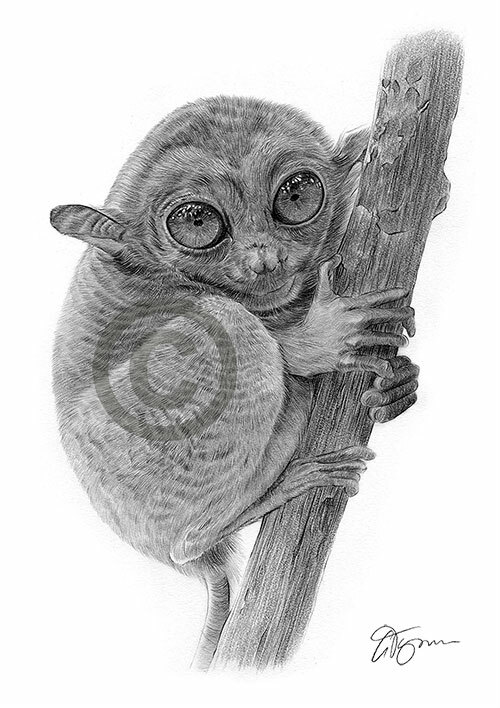 Pencil drawing of a Tarsier Monkey added to the Other Animals gallery in the Prints For Sale section. 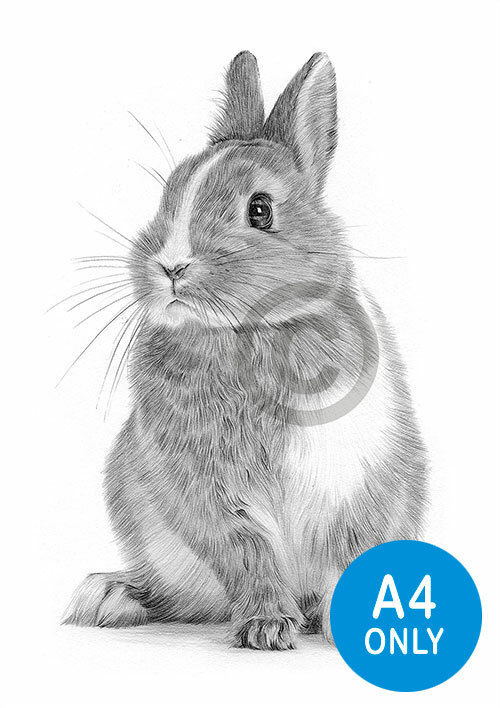 Pencil drawing of a Rabbit added to the Other Animals gallery in the Prints For Sale section. 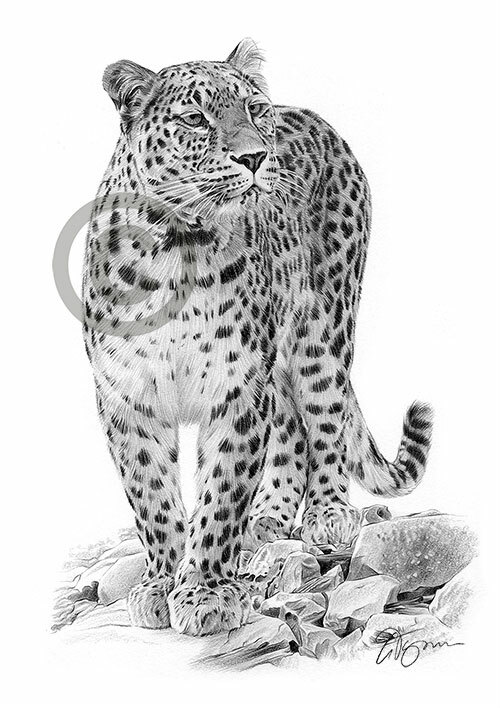 Pencil drawing of a Persian Leopard added to the Big Cats gallery in the Prints For Sale section. 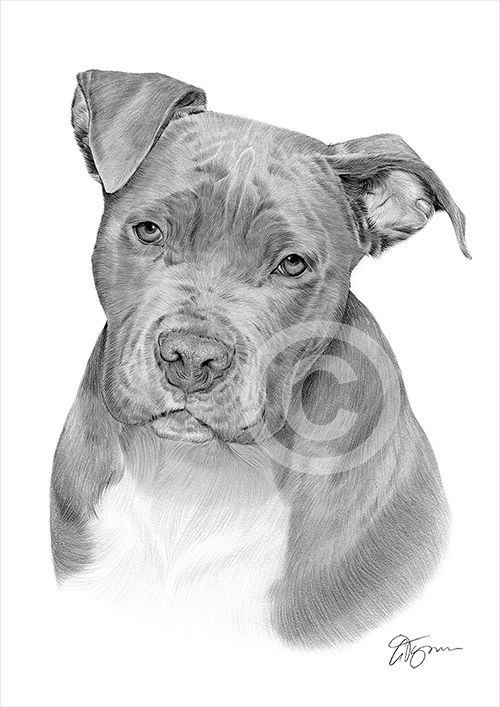 Pencil drawing of a Pit Bull Terrier added to the terrier dogs gallery in the Prints For Sale section. 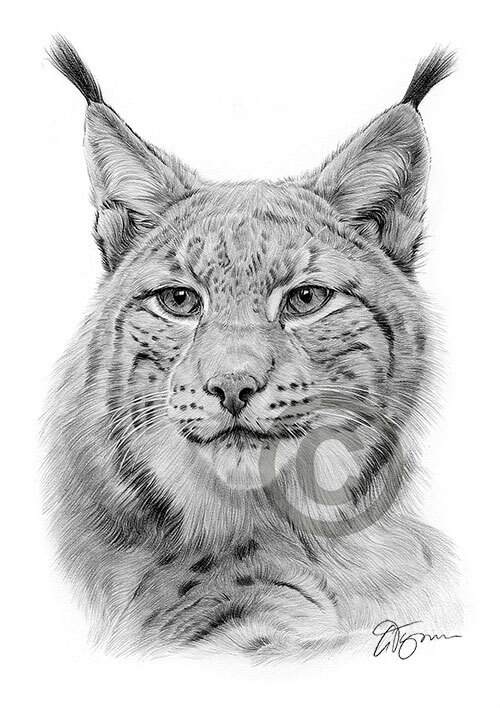 Pencil drawing of a Lynx added to the Big Cats gallery in the Prints For Sale section.